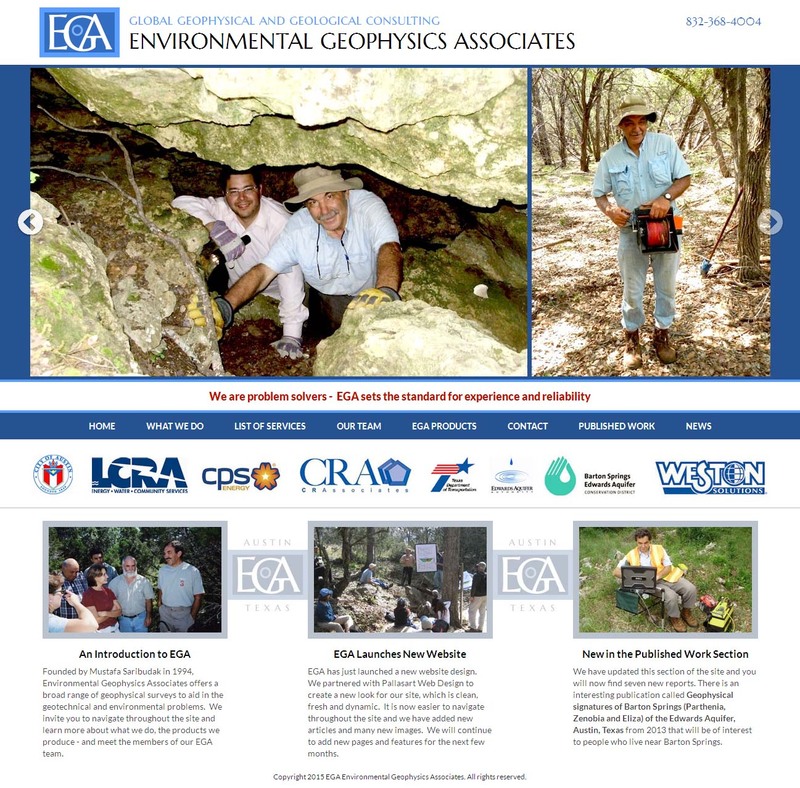 Founded by Dr. Saribudak in 1994, Environmental Geophysics Associates - EGA - offers a broad range of geophysical surveys to aid in the geotechnical and environmental problems. 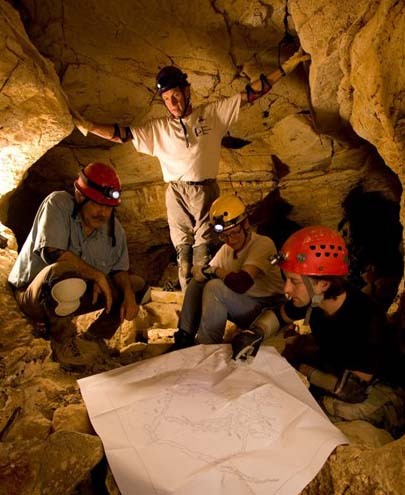 They can be seen exploring caves, sink holes and deep earth fissures around Texas - Indiana Jones style! Geophysical methods image the subsurface without excavating or intruding into the ground. Geophysics is an essential part of many types of projects that require site-wide coverage, while cost-effectively guiding borehole locations, construction, and remediation efforts. Wow, that sure sounds technical. Their applications include karst (sinkhole) investigations, brine plume mapping, seepage locations, locations of buried utilities, drums, USTs, and much more. Most importantly, geophysics can provide early warning of subsurface hazards such as sinkholes, brine plumes, and old buried infra-structure. Their site was dated and needed a complete upgrade. The new site uses big images and has links to great articles they have published on scientific subjects on many topics of interest to Austin and the Hill country. We were particularly interested in an 2013 article called "Geophysical signatures of Barton Springs (Parthenia, Zenoa" a Pallasart tech-guru lives right above Barton Springs near the fault line! 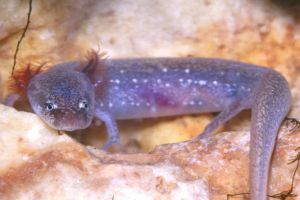 The survey was impacted by concerns over our beloved Barton Springs salamanders! We encourage you to read the report. Also, take a long look at the new site design. Give us a call and we can talk about how we can create a new website design for your company or business.